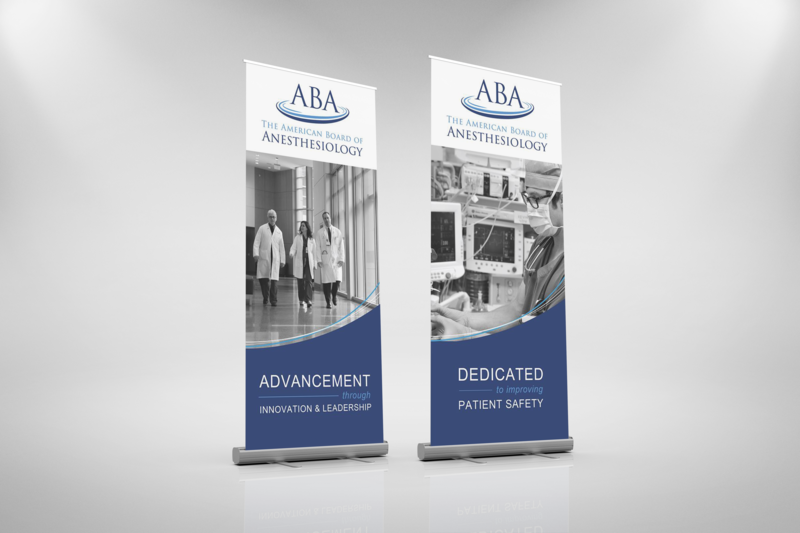 The American Board of Anesthesiology® (ABA) has been the certifying body for anesthesiologists since 1938, they are committed to partnering with physicians to advance lifelong learning and exceptional patient care. 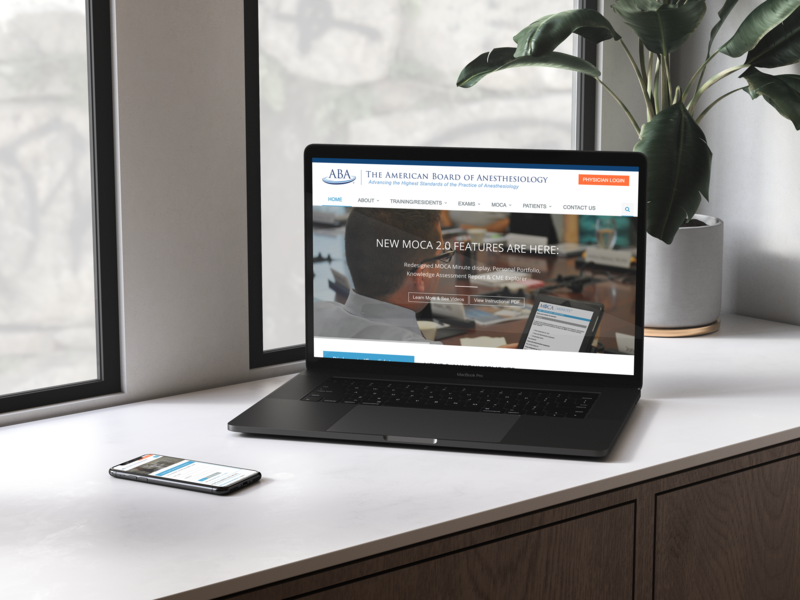 The Board administers primary and subspecialty certification exams as well as the Maintenance of Certification in Anesthesiology™ (MOCA®) program, which is designed to promote lifelong learning, a commitment to quality clinical outcomes and patient safety. 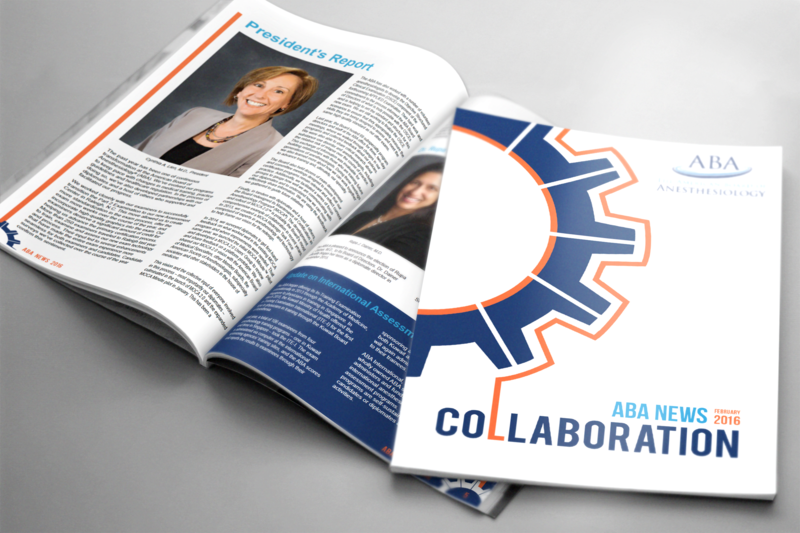 Based in Raleigh, N.C., the ABA is a nonprofit organization and a member board of the American Board of Medical Specialties. 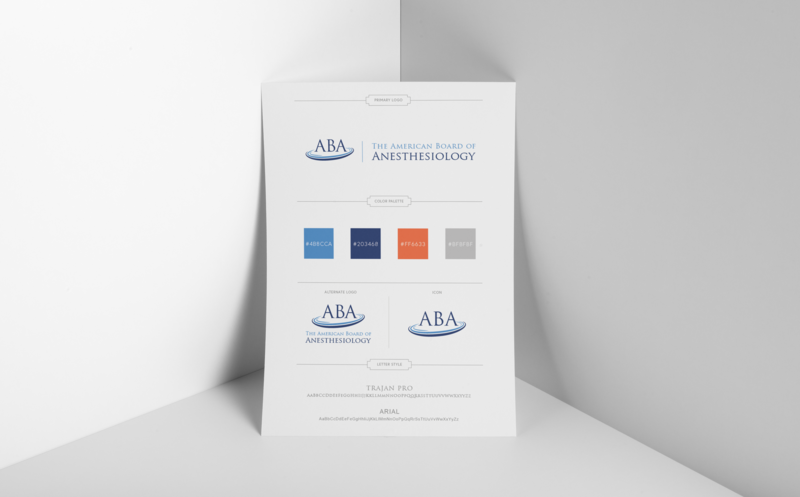 As the American Board of Anesthesiology’s in-house designer, I acted as the the creative arm of the re-brand team. My graphic work was both digital and print and included exhibit booths, banners, brochures, business cards, letterheads, merchandise, newsletters, media kits, style guides, invitations, folders, research posters, motion graphics, e-cards, etc. I also acted as the organization’s public facing web developer. 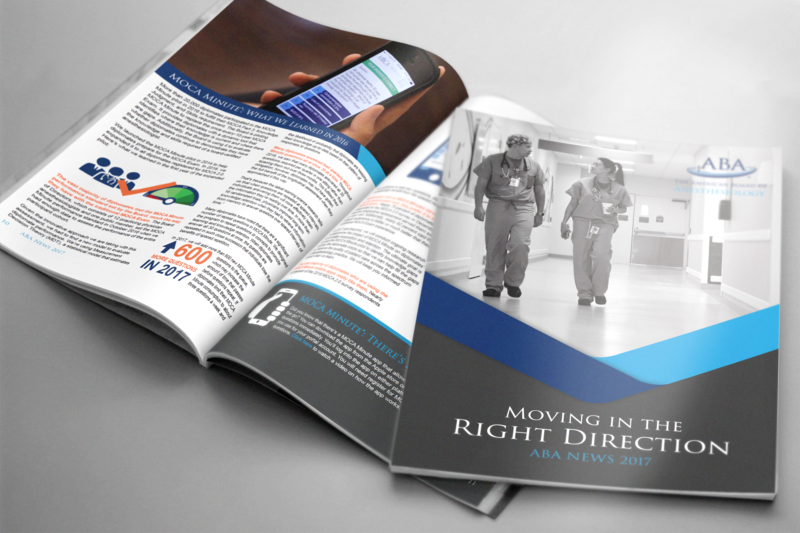 Having never worked with Kentico software before, I learned quickly and developed the 50 page website within 3 months. 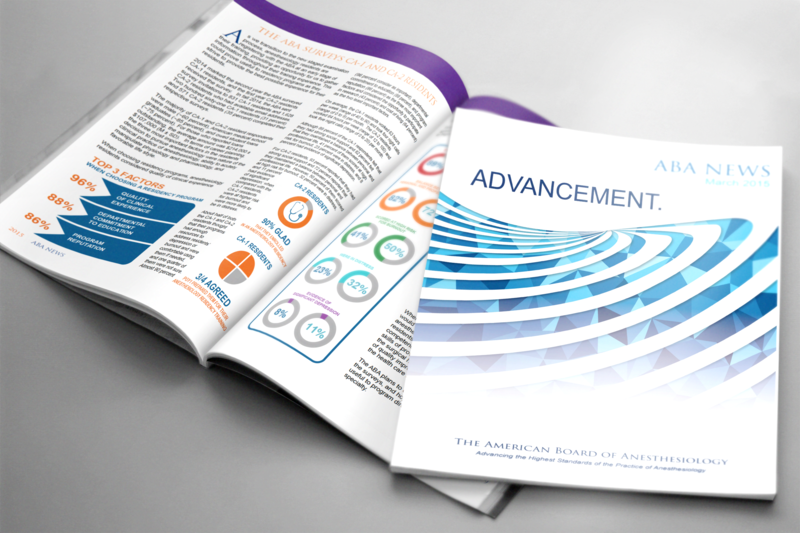 Our team’s efforts with the rebranding won the Association of Marketing and Communications Professionals (AMCP) Gold MarCom Award for Branding.